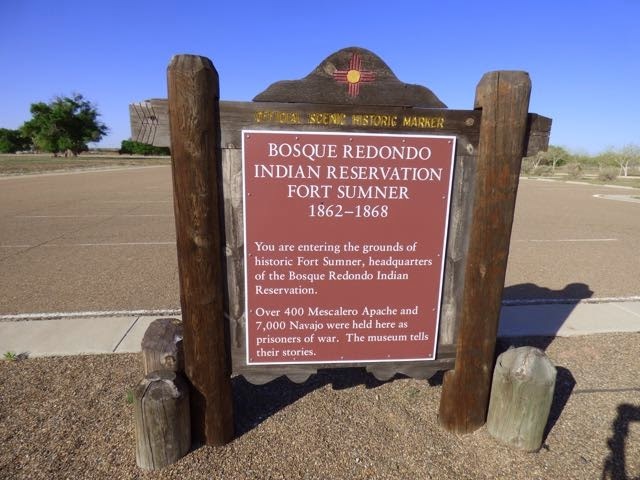 The purpose of our overnight stop in Fort Sumner NM was to visit the Bosque Redondo Memorial at Fort Sumner SP. So on our departure today since it was closed yesterday we toured the museum and site of Fort Sumter. 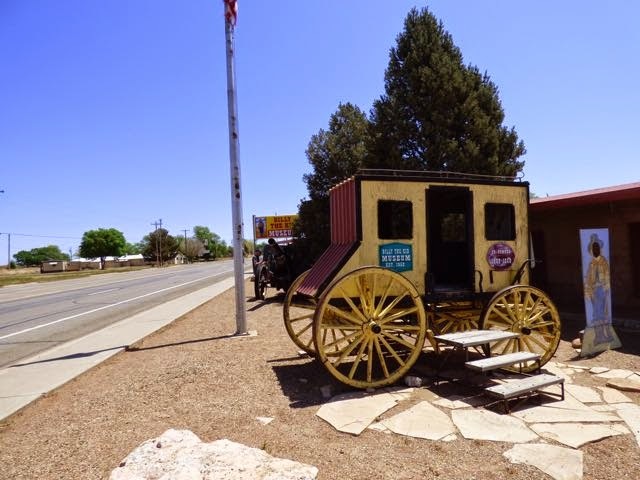 We stayed last night at the Valley View RV Park, the only RV park in town and next to the Billy the Kid Museum. 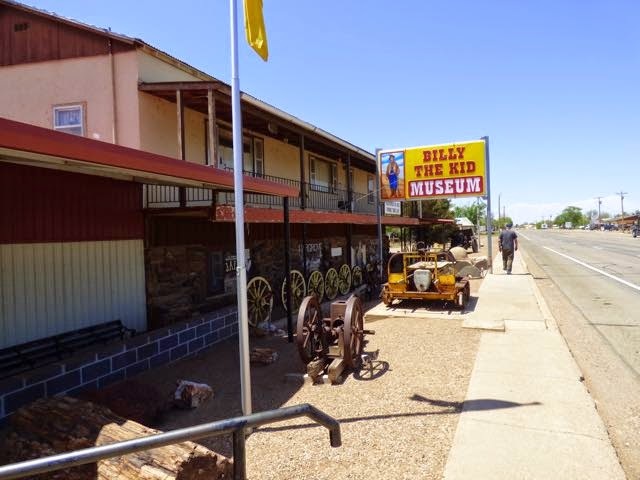 Ok for 1 or 2 nights..no amenities and $20 payable at the museum. 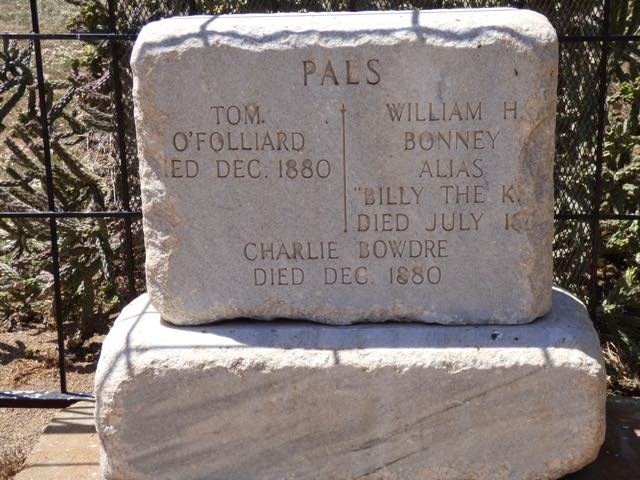 Supposedly Billy the Kid is buried at old Fort Sumner after being shot by Pat Garrett in 1881. 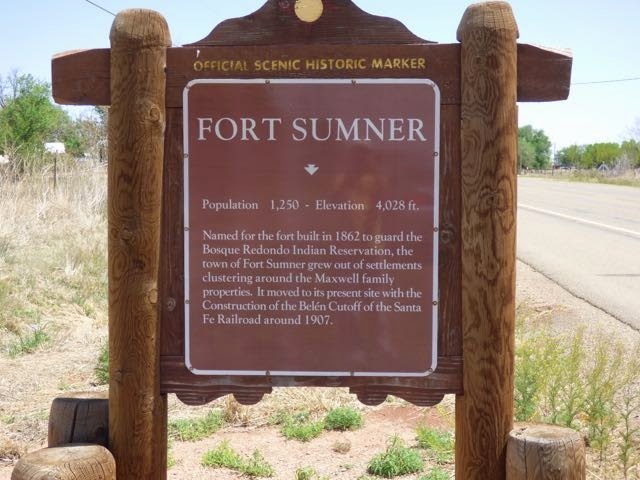 The Fort has no remaining structures which were destroyed over the years by flooding of the Pecos River. 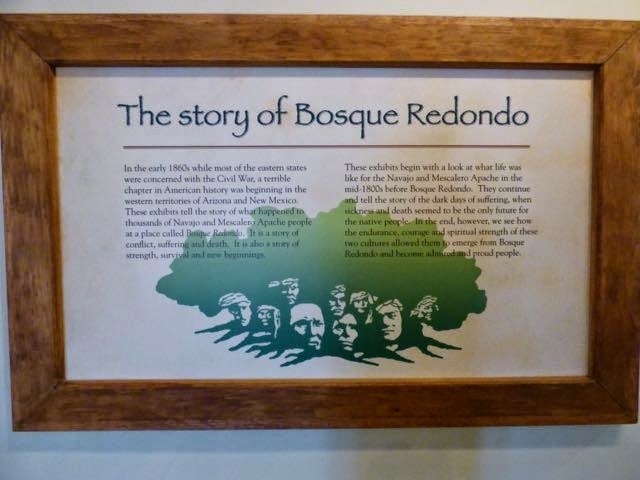 The Bosque Museum is most interesting in the telling of the story of the 450 mile march of the Navajo and Mescalero Apache driven by the Manifest Destiny doctrine that a dominant culture had the God-given right to spread across a continent. 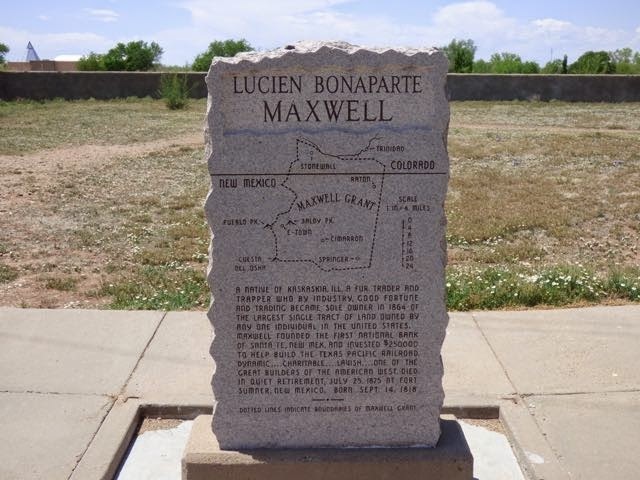 This doctrine meant death or imprisonment for some 10,000 navajo and hundreds of Mescalero on the ill fated Bosque Redondo Reservation during the years 1863-1868. General James Carleton, the US military leader in the New Mexico Territory, ordered Kit Carson to kill all Indian Men and imprison women and children. 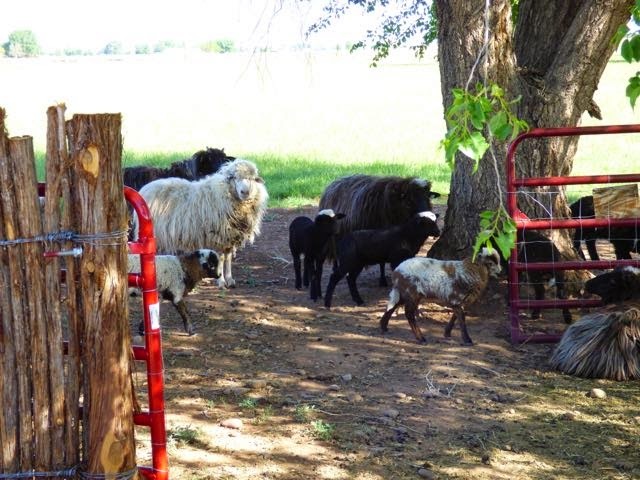 Soldiers were dispatched to the Four Corners Region which was the Navajo homeland and ordered to destroy all crops,wells,homes and seize the livestock. 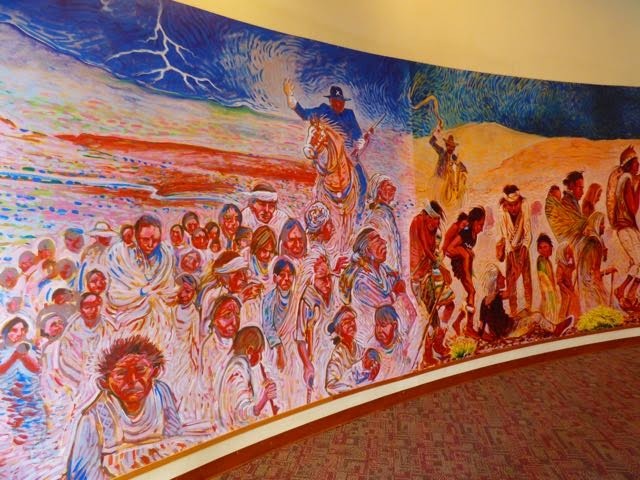 2/3 of the Navajo were starved until surrender at Fort Wingate which marked the beginning of the Long Walk of 450 miles to Fort Sumner NM. Those who delayed were shot and left to die eventually losing 20% of their tribe. 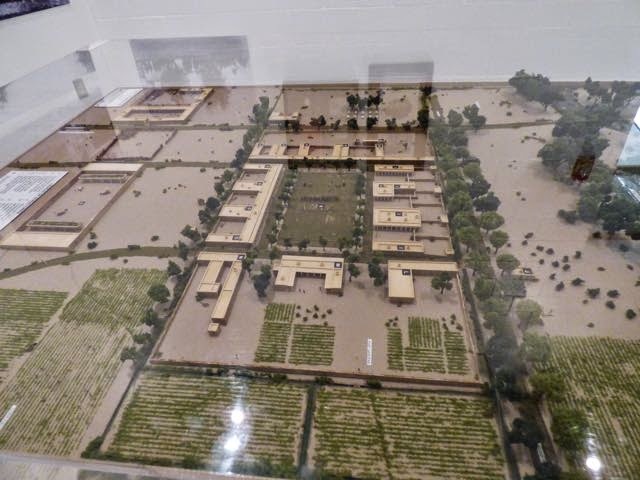 3,000 people died here during the exile. 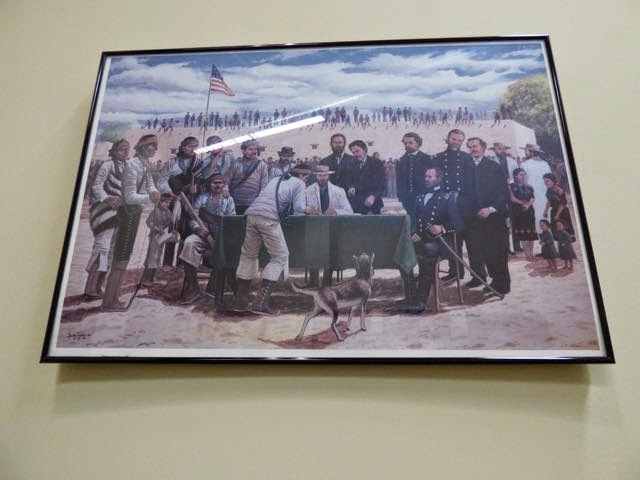 In 1868 General WM Sherman was sent to Fort Sumter to meet with some 30 Navajo leaders and The Treaty of 1868 was signed in the field between the fort and memorial establishing a sovereign Navajo Nation. 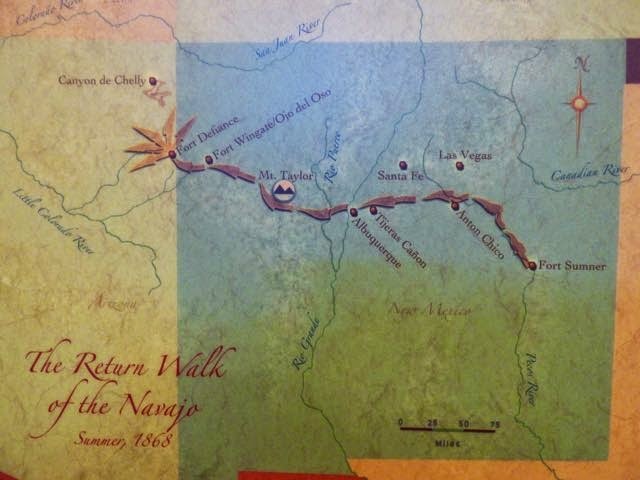 The Navajo began their long journey home back to Four Corners. This time the children and elderly rode in carts. Some rode horses and some walked. No soldiers shot anyone for slowing the walk. 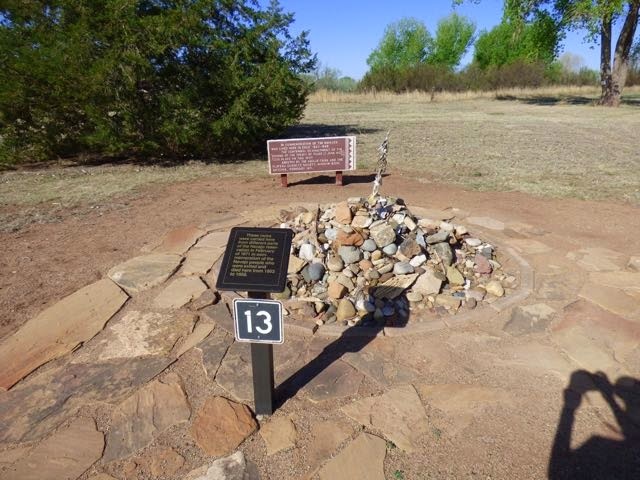 The Bosque Memorial opened at Fort Sumner on 4 June 2005. 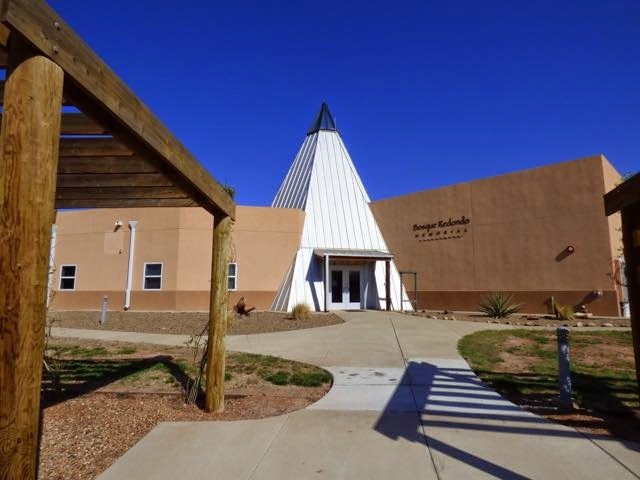 Present at the opening were leaders from New Mexico, Navajo and Mescalero Apache. 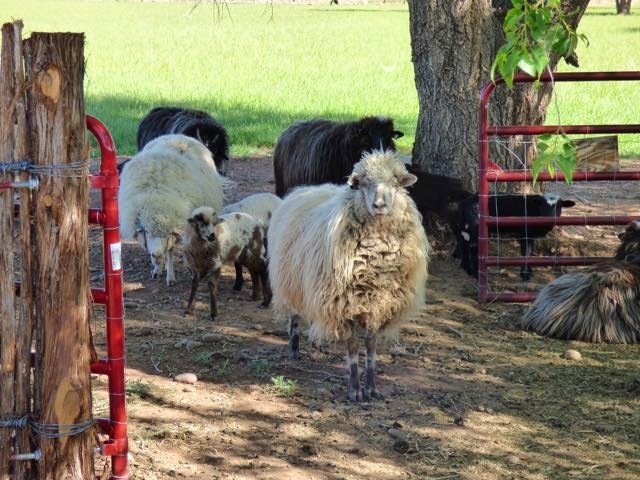 The Navajo nation today covers over 17 million acres in New Mexico,Arizona and Utah. 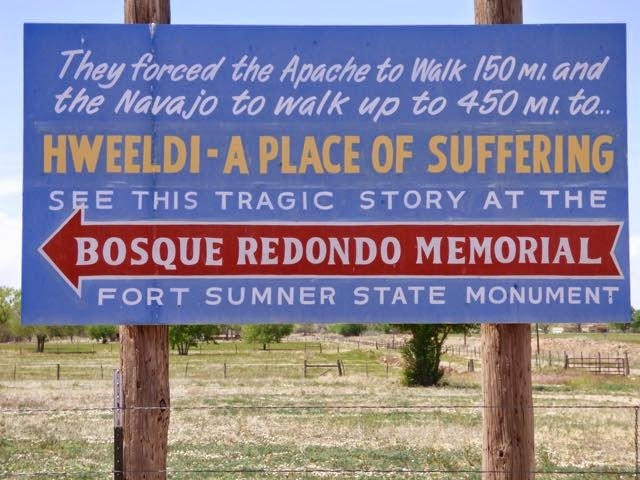 The Mescalero Apache Reservation covers over 400 thousand acres in New Mexico. 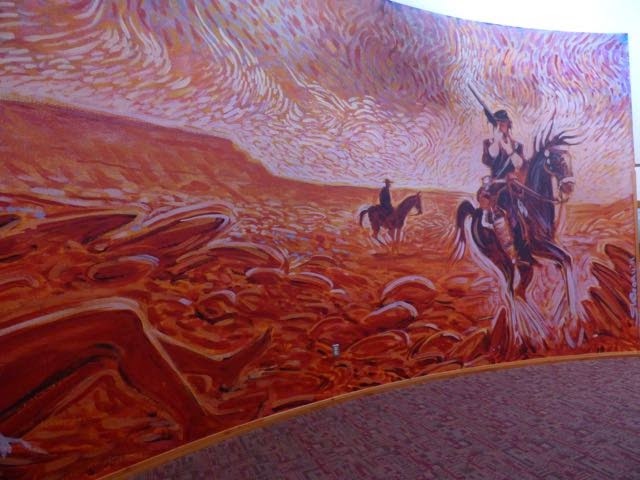 The exhibits and murals in the museum tell the story of the Long Walk. This is recommended as a side trip. 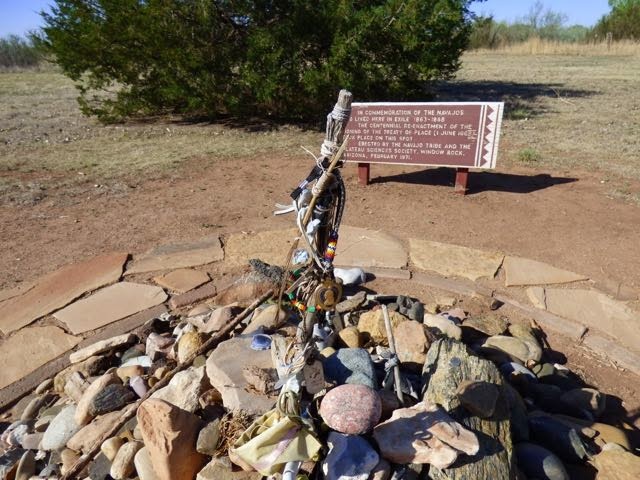 On the audio walk you pass the Navajo Travel Shrine showing rocks carried here from the Navajo Reservation in memory of the Navajo exiled and killed here during the imprisonment. One member left his purple heart. 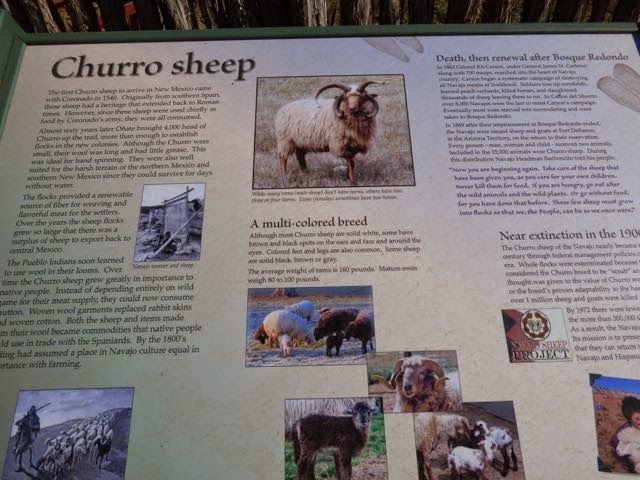 There are Churro Sheep in residence pasturing in the area where the officer's quarters once stood. 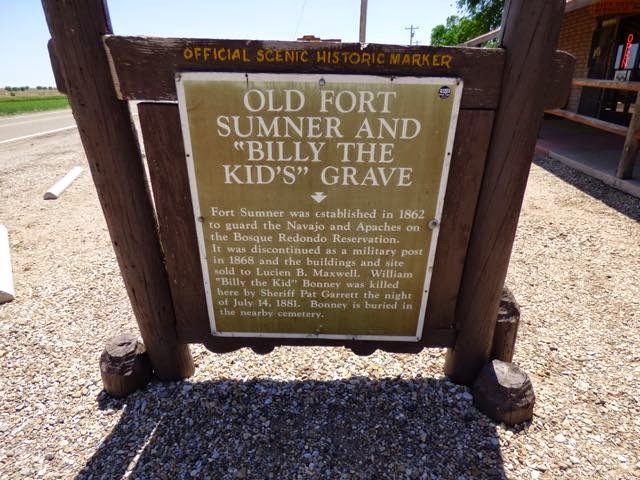 Fort Sumner was abandoned in 1869 and the land purchased by cattle baron Lucien Maxwell. 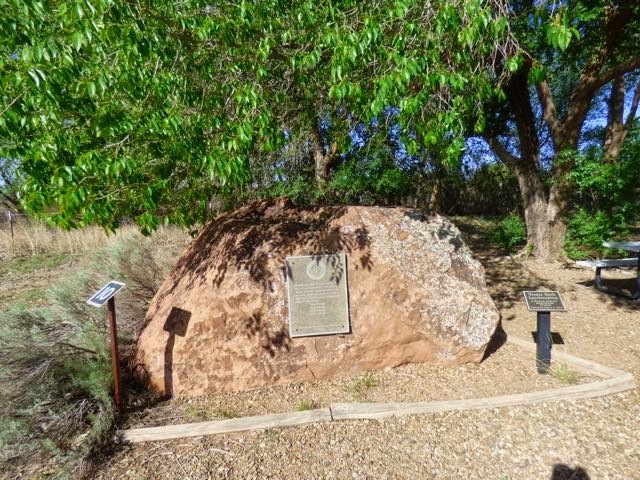 He rebuilt one of the officer's quarters into a 23 room home where Sheriff Pat Garrett shot and killed Billy the Kid on 14 July 1881. Nothing remains of the home. 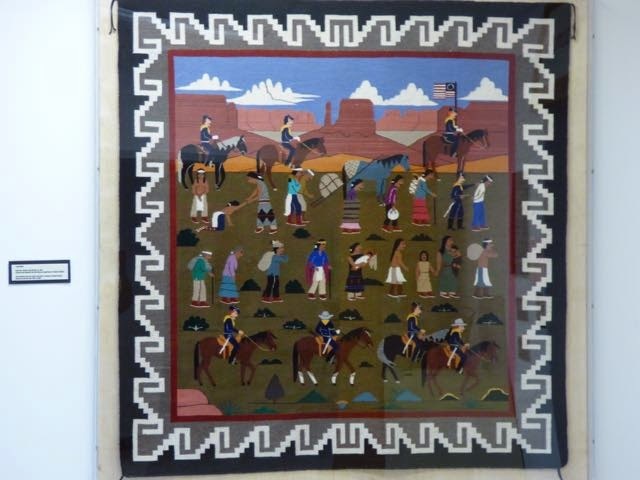 The Navajo believe the Dine' pass through four worlds before emerging into the present one which is call the Glittering World.They believe there are Earth People,ordinary mortals, Holy People,invisible spiritual beings who they believe aid or harm Earth People. 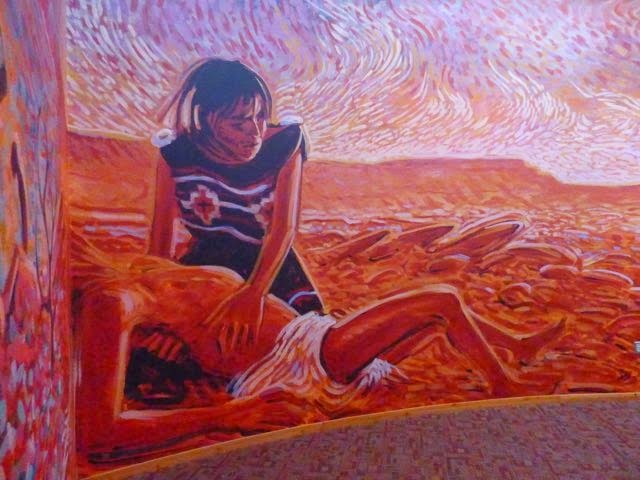 They have an enduring faith in the Great Spirit. I have a deep belief that the Native Indians who were here some 10,000 years before the white man were horribly mistreated and should have been left to their culture, religion and way of life. 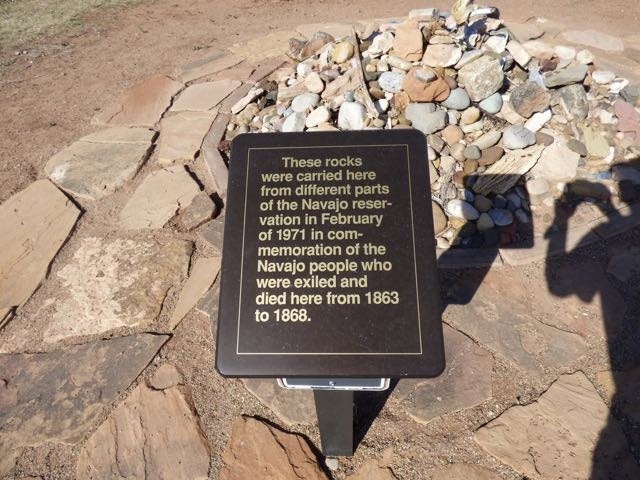 Land was taken, treaties were broken and many lives lost. 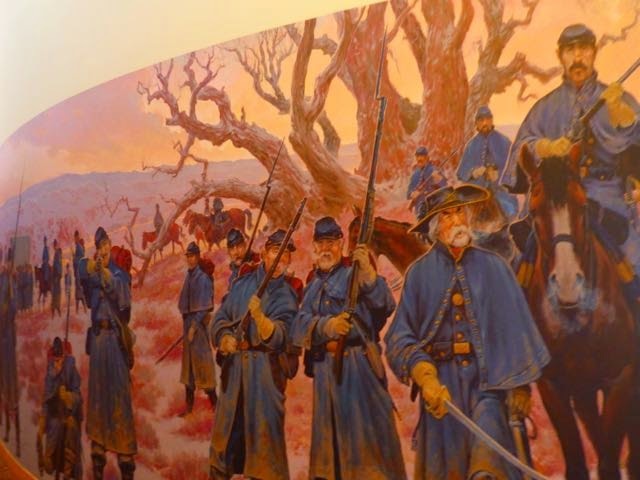 They wanted to defend what was their way of life and their land. They possessed and practiced a deep spiritual belief with reverence for nature. In many instances this was taken away by religious leaders and conversion. In Canada, Indians are referred to as First Nations which I feel is a more definitive name. Also, in Canada, their land is named Reserves and not Reservations. I think of the term reservation as the act of keeping back or setting apart. Maybe settlement would be better. Just opining on the subject. We arrived at Mesa Verde RV park in Wolfforth TX..a suburb of Lubbock..for the next 4 nights. Very nice park with very friendly staff. We are in site 18 with full hookups and pull thru.for $30/nt including Good Sam discount. Front of iHome is covered with bugs from drive.